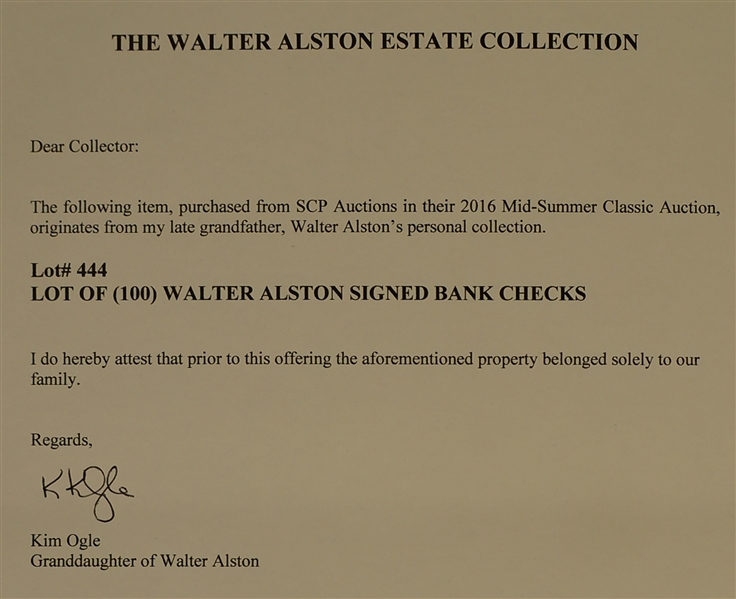 Walt Alston signed personal check originating directly from the Walt Alston Estate and accompanied by a Letter of Authenticity from the Alston family. 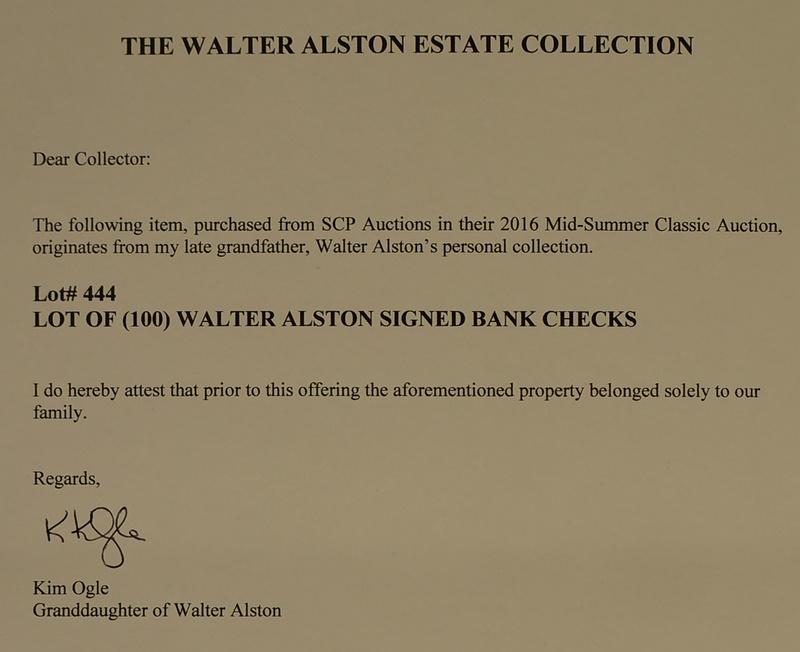 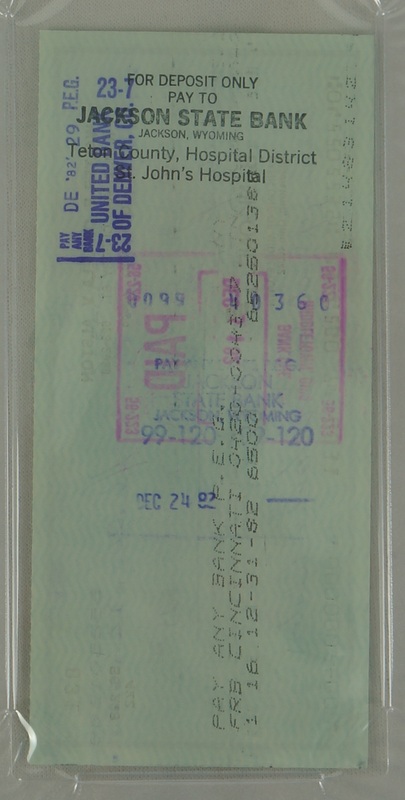 Beautiful, bold Alston signature on this check dated December 20th, 1982. 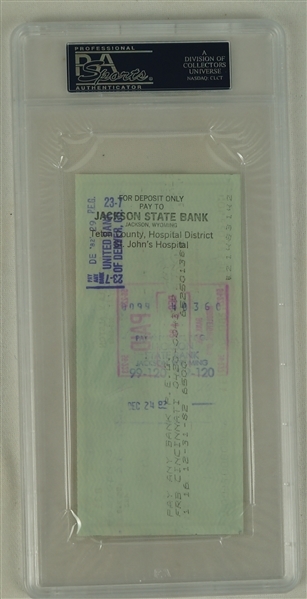 Alston made the check out for a $25 donation to St. Johns Hospital. Authenticated and encapsulated by PSA/DNA.